Super little man, very friendly and nicely marked. He has already been sold to someone who has owned an Ellerbeck foal in the past and will be traveling down south in the autumn. 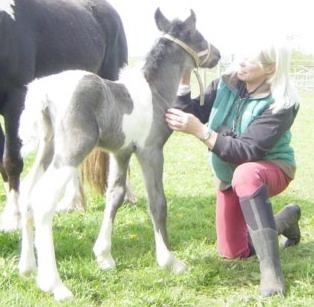 Only one other foal this year and it is from Cherry and by a cremello Belgian Warmblood Crown's Wonder Pearl so Cream without a doubt.